The evolution of an Icon, after nearly a decade of standing the test of time, the Shark X has been reborn. While maintaining the functions and quality you’ve trusted for years, The Shark X 2.0 continues its legend as a rugged yet stylish watch that is wearable 24/7. Boasting both analog and digital features, the Shark X 2.0 offers the best of both worlds. 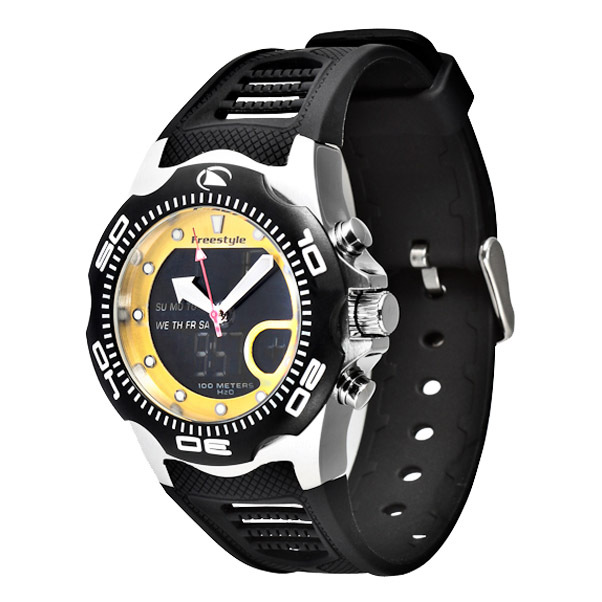 Like all Freestyle watches, the Shark X 2.0 is stocked standard with 100-meter water resistance and limited lifetime warranty.